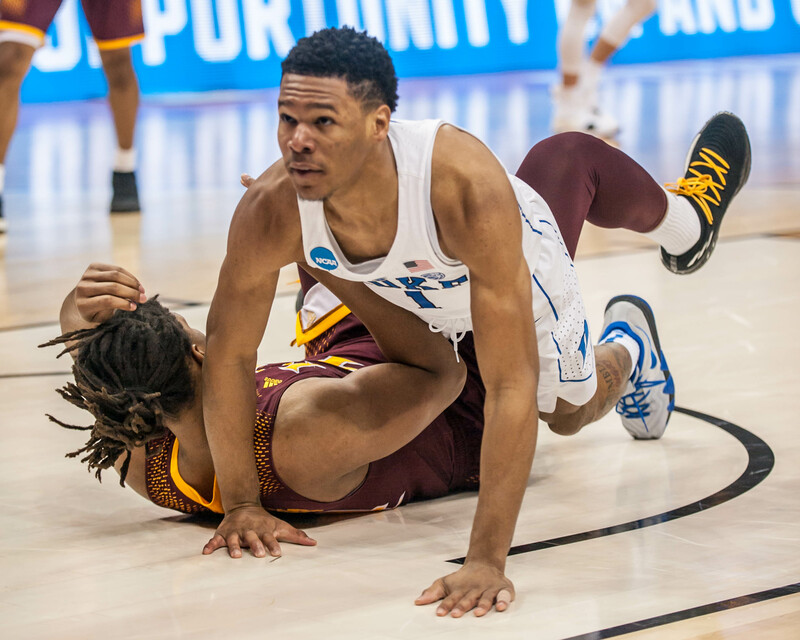 DURHAM, N.C. – Duke freshman guard Trevon Duval has announced that he will enter his name in the 2018 NBA Draft. Duval is the 14th Duke freshman to declare for the NBA Draft. 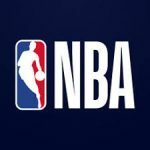 He joins a group that includes Corey Maggette (1999), Luol Deng (2004), Kyrie Irving (2011), Austin Rivers (2012), Jabari Parker (2014), Tyus Jones (2015), Jahlil Okafor (2015), Justise Winslow (2015), Brandon Ingram (2016), Jayson Tatum (2017),Harry Giles (2017), Frank Jackson (2017), and teammate Marvin Bagley III (2018). 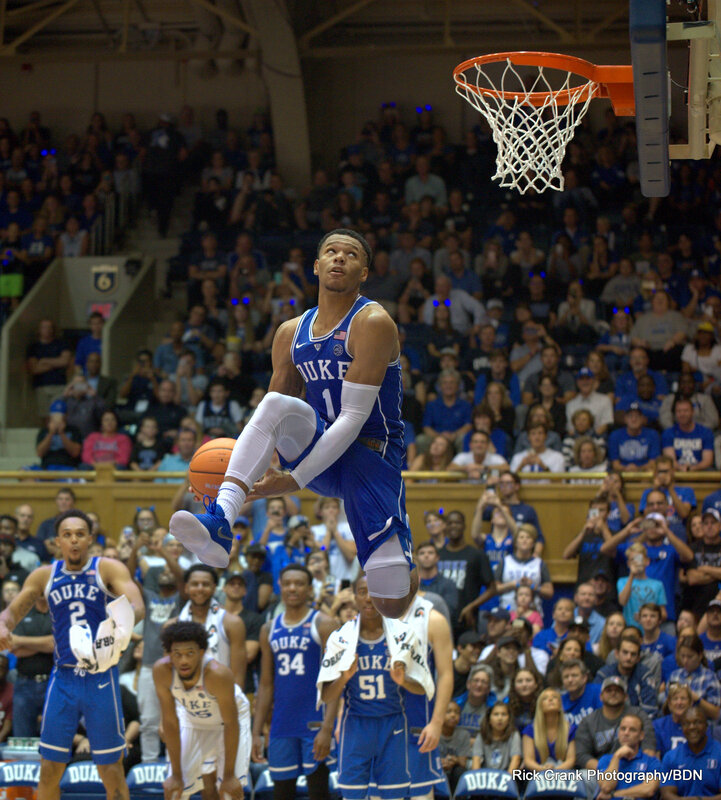 Of the previous 12 Duke freshmen to declare for the draft before this season, 11 have been first-round selections, including nine lottery picks. Duval led Duke with 207 assists, fourth all-time by a Duke freshman. His average of 5.6 assists per game ranked third in the ACC, and is tied for the third-best mark in a season by a Duke freshman. The New Castle, Del., native had four games with 10 or more assists, and had five or more assists on 21 occasions. Duval averaged 10.3 points, reaching double figures 19 times, including a career-high 22 against Portland State. Duval turned it on late in the season, averaging 9.8 points and 7.2 assists in six postseason games. He scored 19 points with eight assists in the NCAA First Round win over Iona, and followed that with 20 points and six assists in the Elite Eight versus Kansas. His 4-of-5 effort from three-point range against Iona set a Duke freshman record for three-point accuracy in an NCAA Tournament game. The 11 assists he collected in Duke’s ACC Tournament win over Notre Dame were one shy of his career high. Duke has produced at least one first-round NBA Draft pick in each of the last seven years. Coach K has mentored 35 first-round picks, including a draft-record 23 lottery selections. The Blue Devils matched a school record with four draft selections last season, including three first-rounds and two lottery picks. COACH KRZYZEWSKI: Well, we -- I'm happy with my team, you know? You bring a young team in here, and I thought our guys really handled their first NCAA game very well against a team that has a championship pedigree. You know, Tim's program is one of the best in the northeast and the Iona name in basketball is huge. And they have a lot of older guys. Obviously, they can put five guards out there, which was tough for our zone to cover for a while in the first half. In the second half we did a much better job of it. But defensively, we did make them take tough threes and they didn't shoot their normal 40 percent or so from three-point range. But I thought my guys played well, and proud of them, and we're going to now play against another championship caliber team in Rhode Island. Q. Grayson, what did you think about how -- your young teammates handled the situation the first time? GRAYSON ALLEN: I thought they did a great job, mostly because I thought they came out aggressive and confident. I don't think we were nervous or overanxious because of the tournament atmosphere, I thought. We came out very well. We scored the ball to start the game and played hard and had to make an adjustment on defense because of Iona's defense. This was a game, if we didn't come out like that and didn't come out hard, we could have been down seven, eight points from the get-go because of how they scored the ball. Really proud overall how they came out and just attacked right from the start. Q. Just a question for Trevon. Could you talk about your emotions going to your first NCAA Tournament game? TREVON DUVAL: Definitely a little nervous because it's my first NCAA Tournament. Overall, I was just excited and I was ready to play. 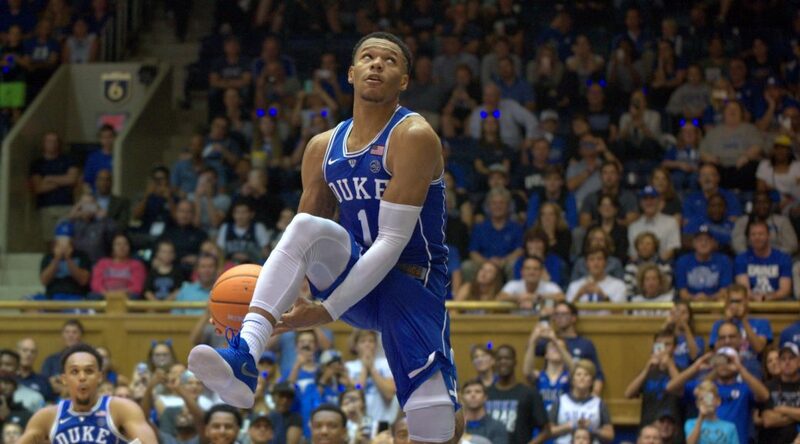 Q. Grayson, when you went through your first experience in the NCAA Tournament, what can you really remember from that and just the feeling of doing it as a freshman when you have all of these teammates? COACH KRZYZEWSKI: Really trying to think that you weren't. GRAYSON ALLEN: So just really trying to tell these guys -- like prepare them for the atmosphere being inside of it, versus being on the outside of it. Where last year, they were watching the games in high school, during the day, and now you're in it. So it can be easy to get distracted by who is playing who, who is beating who, what's the score going on here. But if you just focus on today, Duke versus Iona, if we were able to focus on that, we come out and play well. We first focus on Duke, not Rhode Island, not focus on anything else. Not get distracted about anything else, we'll be all right. Q. Grayson and Trevon, I know you probably haven't seen much film on Rhode Island, we have a lot of senior guards, a lot of experienced guards. What's your first take on all of their guards and back Court? GRAYSON ALLEN: They're very experienced and their guards are very tough. We played against them last year, and I remember that game, their guards were very tough. They go at you both offensively and defensively, and they're a very experienced team. They have a pretty good amount of guys back from that team that I played, so it will be a very tough match-up because of how experienced they are and because they are a team that wins. Q. In the first half, is it a matter of getting behind the zone when they're getting those baskets? COACH KRZYZEWSKI: First of all, they average 80 points a game, so you're not talking about a team that doesn't score. They have eight guys that have scored 20 or more points in a game, and some guys have scored 30. One guy scored 40. So, when they put five guys out there -- and it's not a conventional way of doing it, they actually put five guys out on the perimeter, and you have to talk and move a lot. Overall, I thought we did a good job against it, we had -- brought a 15-point lead and we took a couple bad shots. And that hurt us more than our defense. And -- but my staff, Jeff, made a really good suggestion at halftime, and we went with it in how to change the zone just a little bit, and that worked for us. But they can shoot the ball. And that's the scariest thing for us going into the game. Because if we're tight a little bit, they start shooting like they did, you know -- it's one game, you get a shooter's chance. That's what Chris Collins used to always say to me. Q. You know I can't let you get out of here without a Hurley question? COACH KRZYZEWSKI: Yeah. We played at Seton Hall the game before we were in the Kentucky game and brother against brother. No, I love -- look, I love their family. When Bob was inducted into the Naismith Hall of Fame, he asked me to present him and I did. It was an honor to do that. Their family epitomizes the highest level of love for the game. And the father, you're talking -- one of the great coaches. It doesn't matter what level. That's why he's in the Hall of Fame. And his two sons have learned a lot, learned a lot. And Danny's team -- yeah, he's built a -- he hasn't built a team, he's built a program there. You know, that's the difference. That's what you want to do is build a program that develops teams year after year, and he's done that at Rhode Island. Q. -- what's the biggest part, what's the biggest adjustment you have to make? 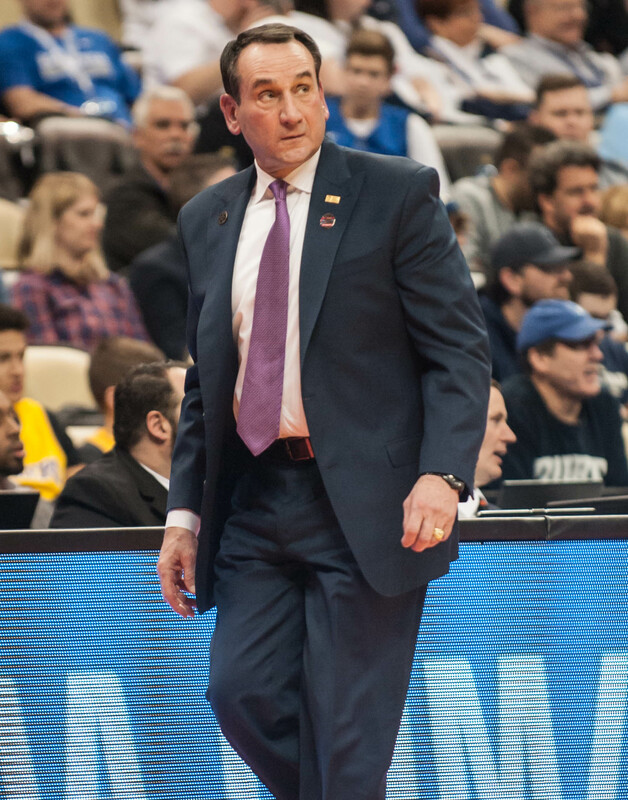 COACH KRZYZEWSKI: Do you have children? COACH KRZYZEWSKI: See, you're missing out on that. What happens when you're 18 and 19, and you go into a new experience. That's what we've had to go through the whole year, you know, the first road game, the first conference game, the -- you know, the first 10:00 game, you know, all of those things. So this is a first for them. And whereas Iona, their program's been in the last three years, so this is just nerves. We didn't have it today, but because you're a human being, you can have it. You can get jittery, you can get a little bit tight. That's what happens to people. And our guys didn't do that today which I'm really pleased about. Q. What was the first experience you had personally in any NCAA game in any way, shape, or form? COACH KRZYZEWSKI: '84, we got messed over, in Washington. They undercut Johnny Dawkins on a last-second lob and didn't call it and Detlef Schrempf and those guys beat us. It's pretty for me to remember that. But also, it's an honor to coach any NCAA game. You know, they don't -- we've been fortunate we've been in a lot of them, but I don't take any of them for granted. They are beautiful in any way and getting a win in an NCAA game is fantastic. Q. Mike, how valuable is it if Trevon can consistently hit from the perimeter like he did today? COACH KRZYZEWSKI: No, it's crazy good. He's worked on it, and I was proud of him after he hit the first one that he was aggressive and taking the others, you know, like -- wasn't like, oh, I'm happy. And -- but overall, the biggest thing, until the second half, when we had a bigger lead, he and Grayson had 17 assists and five turnovers. And then they messed around with a couple balls. It probably should have been like 17-3, but if they can give us the floor game like that, and then, you know, he -- it would be nice if he hits that many. Just so he's a threat, and he is. So, that was a big boost for us. Q. Now I'm blanking. What makes you most worried about Rhode Island match-up wise, with such experienced guards? COACH KRZYZEWSKI: You're going to answer my question. My answer. Now, I don't know if I asked the question or you did. Anyway, let me start over. Rhode Island, we played them last year early, up at Mohegan Sun, and they were a tough-minded group. And that's what Danny has built there. And they have -- they can put four guards out there, too. They can handle and shoot and they value the ball and play defense. So, we'll have to beat a really good team to advance, but that's -- look. We're not unlike the other teams in the tournament. Everybody in the tournament is good, but they are experienced good. Okay? Thank you. Well, Duke got a much-needed road win over Pitt last evening. 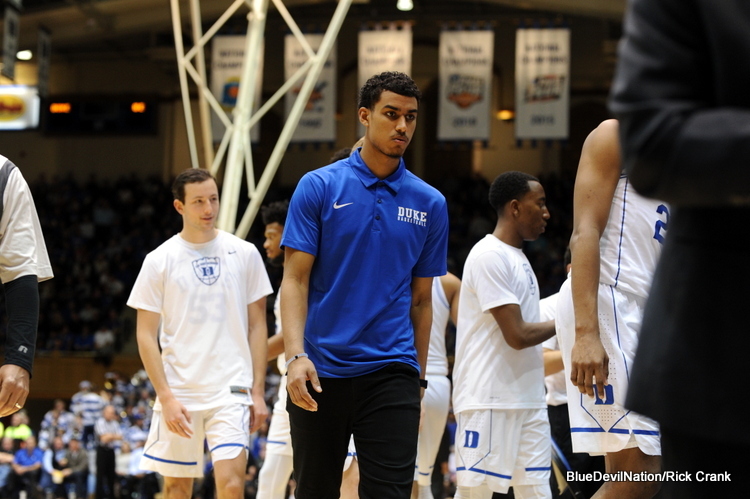 Here are my 10 random thoughts on Duke Basketball going into the next game. 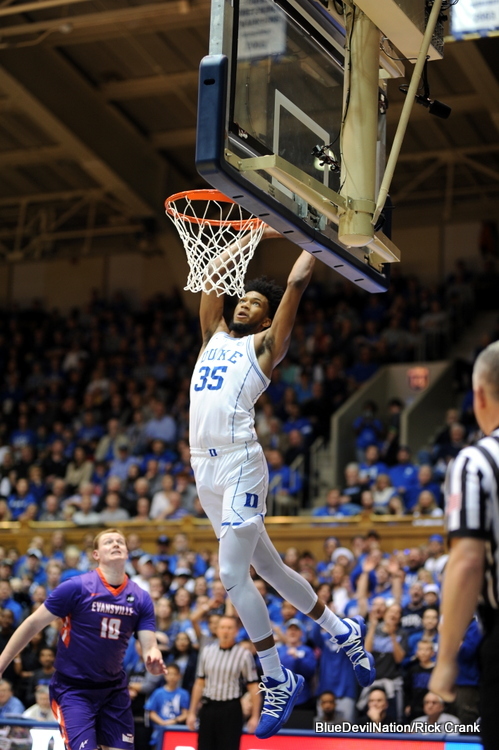 The Blue Devils impressive ACC road win over Pitt 87-52 cured many ills. I will take a look back as my random thoughts progress, but the most important thing for Duke to do is put this game to bed. Duke needs all the rest they can get before Saturdays high noon game with Wake Forest. And just mere hours later, they will board a flight for Miami in a critical road match up. Come on. You know it was fun to see Justin Robinson knocking down three pointers on his way to a career high. 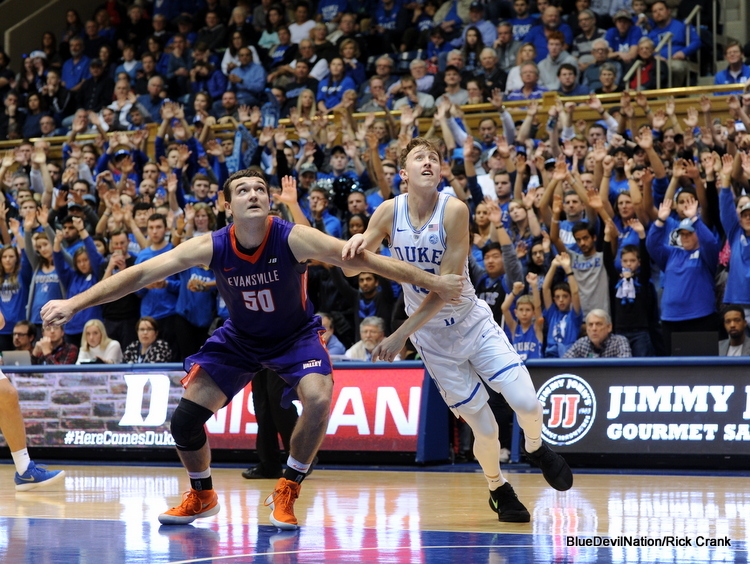 Duke got major minutes from its bench players last evening and it was by design. With games coming at a fast and furious pace, the Blue Devils need to rest their iron men starting rotation. 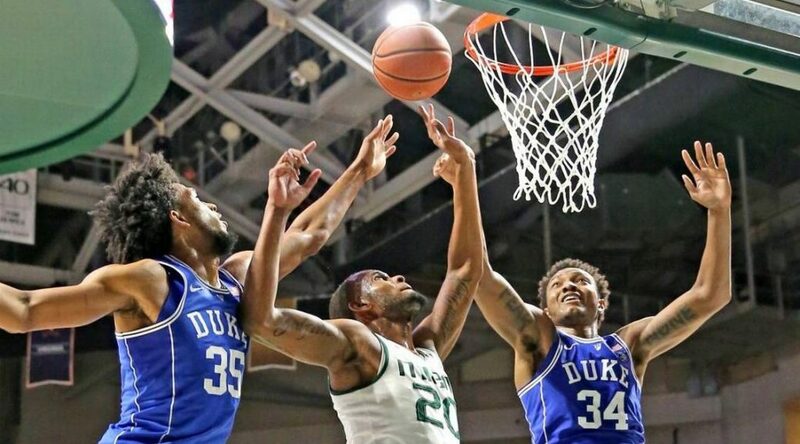 With injuries to Marques Bolden and Javin DeLaurier, Duke was able to steal some minutes and develop its bench against an even younger than they are Pitt team. Those minutes will improve team camaraderie via involvement. The team will benefit from strategic resting of players legs in certain games in the long haul. How ridiculously spoiled we are for now expecting a double-double from Marvin Bagley III each time out. Last night he scored 16 points and pulled down 15 rebounds and he happens to lead the league in scoring and rebounding. If you are counting, that was his 13th double-double which puts him one game shy of the record held by Jabari Parker and Gene Banks. This young man is special. Jabari Parker is set to return to the court for the Milwaukee Bucks in February. If you follow my Blue Devil Nation twitter feed, you saw where I retweeted video of former Duke player Jabari Parker moving well in the pre game for the Milwaukee Bucks. Parker is expected to return to the Bucks before the NBA All Star Break. Parker underwent his ACL surgery on Feb. 14, 2017, after tearing that ligament — for the second time in his career. How cool is it to see so many Mike Krzyzewski era Duke Blue Devils playing key roles in the league? 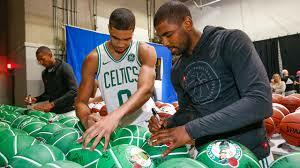 I must admit to being a bit of a Boston Celtics fan now that Kyrie Irving and Jayson Tatum are both starting and tearing it up. But I like following Brandon Ingram and all the rest as well. Back to my twitter feed, you can vote Blue Devils into All Star game considerations with retweets. So, get at it! With every starter hitting double figure scoring and JRob's points off the bench -- Duke had six players in double figures for the first time this season. Gary Trent Jr. had a sharp performance against Pitt. 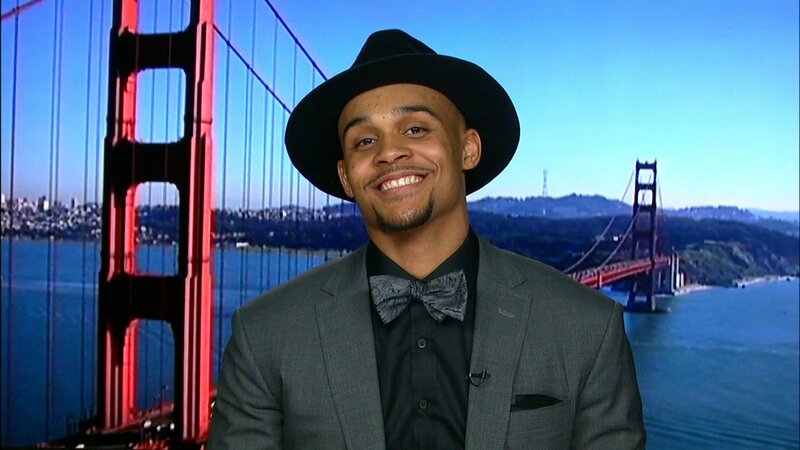 I want to talk about Gary Trent Jr.
A shooter has to keep shooting even when their shot is off. But there have been some games this season when Trent Jr. IMHO, may have taken too many shots. We saw the best of Trent Jr. last evening where he allowed the game to come to him while getting other teammates involved. He looked for his teammates first and that led to his career high in assists. Trent then scored at will down the stretch after finding a balance or comfort zone. And do not overlook his 2 of the 11 Duke steals. He is a good defender capable of getting even better. 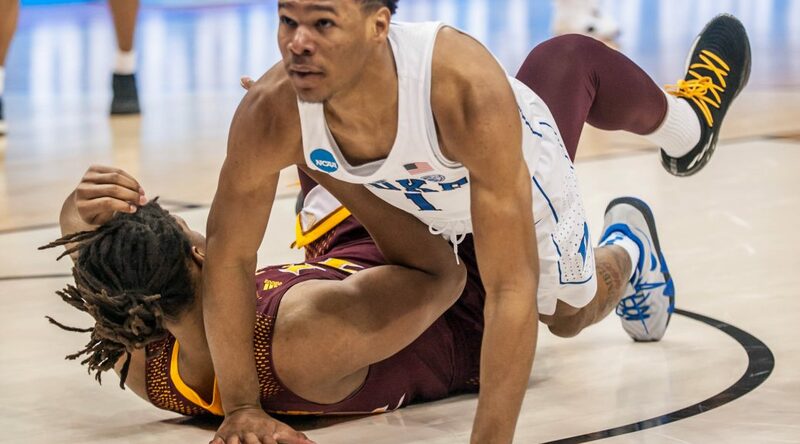 There has been a lot of talk about the Duke defense and for good reason. Until last evening and in select other games they have not been very good in that area. But don't overlook the positives with this team. Duke leads the nation in scoring at 93.5 ppg. Duke is 2nd in the nation in rebounding and close to the top in scoring margin of win. It's Du-val. Think Val Kilmer. While many are figuring out how to pronounce his last name, Duval is quietly leading the ACC in assists. What burning minds want to know is if that 3 of 5 from the three-point line was a mirage. If he hits that shot at a 40% clip, his game would go through the roof. Of course, he was just over 16% going into last evenings win over Pitt. Will Duke allow for Wake Forest to slither into this game and challenge them in Cameron at high noon this Saturday? Wake had a six game winning streak after a slow start to the season and they took UNC down to the wire in Chapel Hill. They most recently lost to a good Virginia Tech team at home. Hidden in the stat line from that game is the fact they outrebounded their opponent by ten and connected on nine three-point shots. 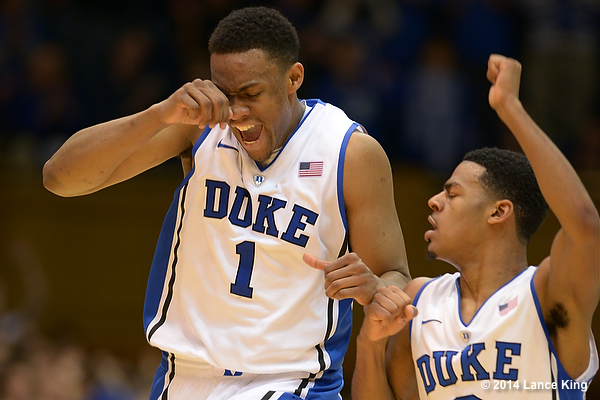 You cannot overlook them, but Duke certainly needs to come away from this game with a win. And then go to bed. Back to random thought number one here... Duke will fly all the way down south to Miami and be hit by the body shock of its warmer weather. The team will have about 50 hours in between the end of the Wake post game meal and their next opponent.